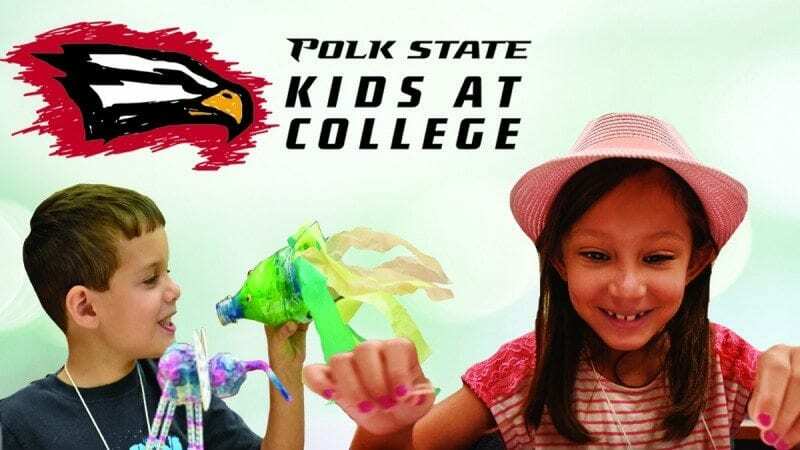 Polk State College will once again offer its popular Kids at College summer program. Registration will begin in mid-April. For more than 20 years, Kids at College has been a favorite of children and parents alike. Serving kids ages 5 to 14, the program offers nearly 50 classes in everything from the arts to coding. “Our class offerings come about in one of two ways. First, of course, we consider the suggestions of parents. 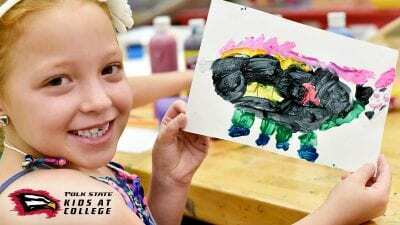 If they request something and we have the ability to offer it, we do everything we can to make that happen,” said Polk State Kids at College Program Coordinator Brenda Bracewell. All Kids at College instructors are either teachers or experts in their fields. Cross Stitch for Beginners — Discovery Academy teacher Megan Stevens will guide students as they learn cross-stitch needlework and create personalized items and gifts. CSI: Crime Scene Investigators — In this class, Stambaugh Midddle School teacher Kandyce Cruz will lead students as they learn to dust for fingerprints and collect and preserve evidence. At the end of the class, students will solve a crime scene. Jedi Academy — Taught by Richard Ganey, owner and operator of the Jedi Training Academy of Central Florida, this class will incorporate Jedi conditioning forms, unarmed defensive skills and light saber usage, helping young Padawans develop into Jedi Knights. Minecraft Through History — Under the direction of Dennis Dill, a teacher at Jewett School of the Arts, students in this class will explore the history of Rome and other civilizations, and recreate them using Minecraft. 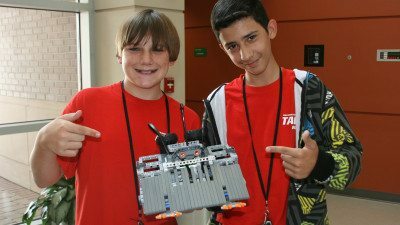 Polk State Kids at College will take place Monday-Thursday during two sessions: Session 1, June 20-June 30, and Session 2, July 11-July 21. Classes will be available during each session at both Polk State Lakeland, 3425 Winter Lake Road, and Polk State Winter Haven, 999 Ave. H N.E.. Lakeland classes are from 8:15 a.m. to 12:30 p.m.; Winter Haven classes are from 1:15 to 5:30 p.m. The cost per class ranges from $50 to $70. Registration will be available at polk.edu/kac. For more information, contact Polk State Kids at College Program Coordinator Brenda Bracewell at 863.2986826 or bbracewell@polk.edu.